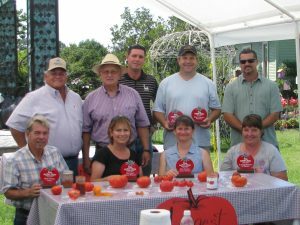 Congratulations to all of our winners and thank you to all of our judges who participated in our First Annual Tomato Contest. It would be nice to know what varieties won. Some of our contestants were reluctant to give out their secrets to success, however we do know that the winner of the best tasting small tomato was Sun Gold. How can we get a copy of this photo please? Yes, you can come by the shop for a copy of the photo! This was a wonderful and pleasant experience and can't wait till next year!!! Arbor Gate is always awesome!!! Thanks for wonderful people and great products.